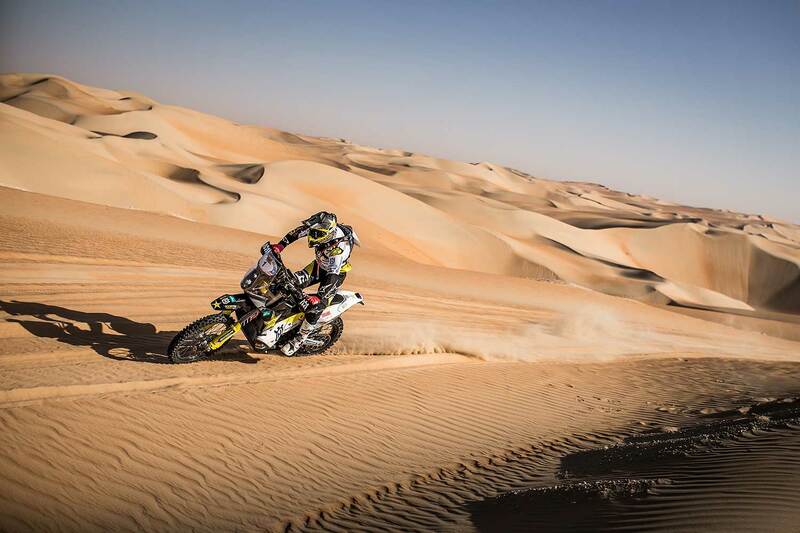 Making short work of a demanding SS04 "ADNOC" at the Abu Dhabi Desert Challenge, Husqvarna’s Pablo Quintanilla has secured stage victory and regained the lead in the event’s provisional overall standings. 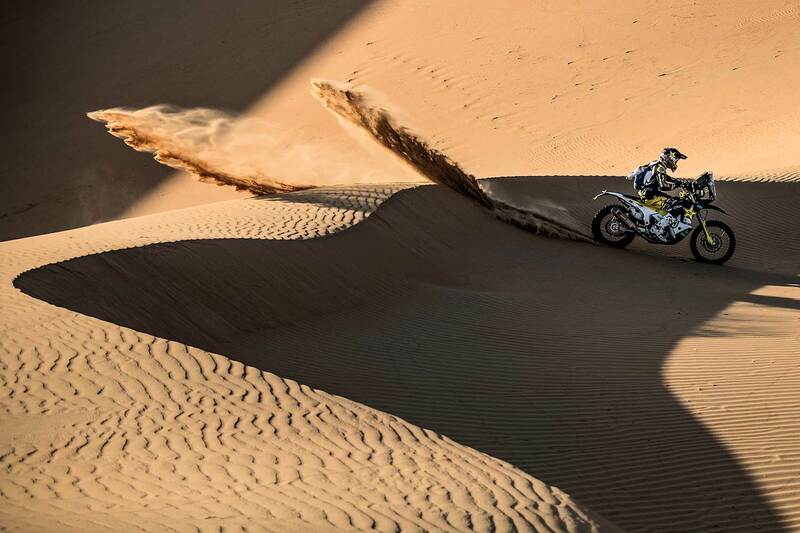 Featuring a 244 km long timed special in the dunes of the Liwa Desert, SS04 was no walk in the park. The Chilean started 8th and made the best of his advantageous position to make up for the time lost during a tough SS03 on Tuesday. Quintanilla could win the stage only 2:35 minutes in front of the Australian KTM-rider Toby Price and +5:42 mins before Paulo Goncalves from Portugal (Honda). Today´s Top 5 were completed by Jose Cornejo Florimo (Chile, Honda, +6:43) and Frenchman Michael Metge (Honda, +6:48). Yesterday´s overall leader Sam Sunderland (KTM) lost some time after a small crash and could finish the stage 9th (+17:11) behind his teammate Matthias Walkner (+14:21). "Everything is going according to plan and I’m happy about it," said Pablo Quintanilla. "Today I had a really good start position and took full advantage of it. It’s always difficult to ride fast in the dunes and the off-piste sections, but I did my best to remain focused and avoid mistakes. I made some good passes and had a good pace from start to finish." He continued: "I’m happy I got the stage victory but most importantly I am satisfied I made up some good time in the overall. I have a small but decent gap in the lead going into Thursday’s final stage. I’m happy to be in this position and I will do my best to bring home the overall victory at this rally. It would be the best possible way to start the new season." With Thursday’s timed special featuring a motocross-styled start, the Chilean rally star is entering the fifth and final stage of the event with a lead of 6:17 minutes overall in front of KTM-rider Sam Sunderland and Honda-pilot Kevin Benavides (+9:59). Featuring a total of 356 km, SS05 includes a 218 km long timed special.